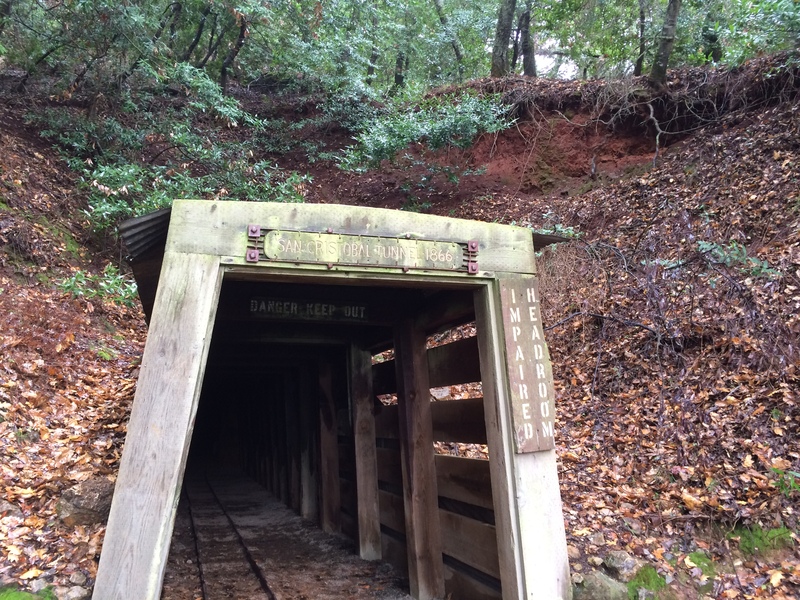 Almaden Quicksilver County Park, with added Mine action. Classes finished last week until the start of the spring semester, so I now have Mondays off! I celebrated by heading out for a hike with the Midweek Hikers Meetup group, for a hike posted as 7.7 miles and 1000ft elevation….. Although, this was not entirely intentional. 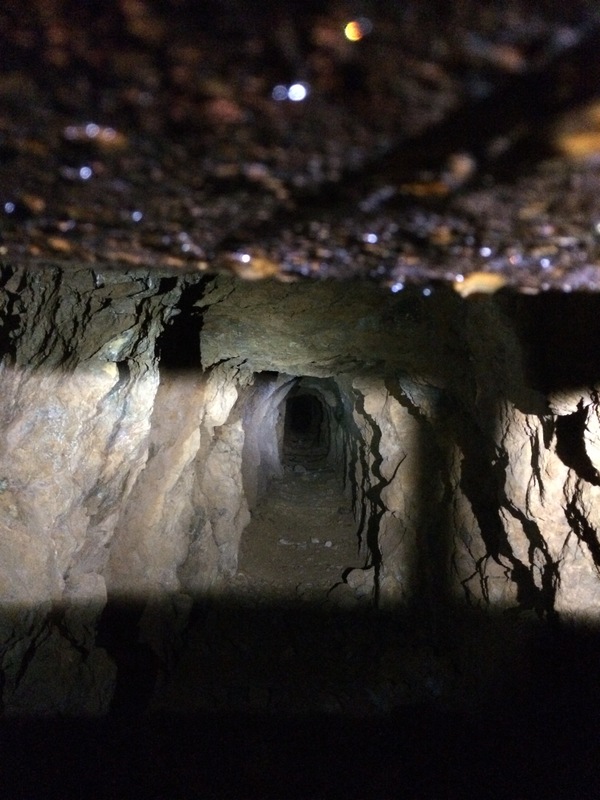 Seasonal trail closures are in effect in Almaden due to the wet and muddy conditions, and so the original route via Randol trail had to be changed. 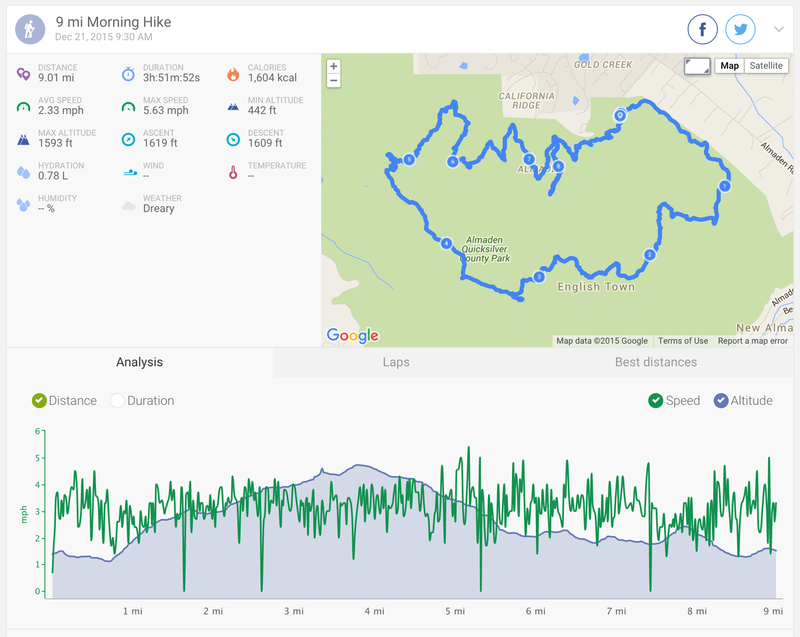 We then continued back on Mine Hill Trail > Mine Hill Trail > Prospect #3 Trail > Prospect #3 Trail > New Almaden Trail > there and back again on the Buena Vista Trail to the Buena Vista Shaft > New Almaden Trail > New Almaden Trail back to Mockingbird Hill Lane. 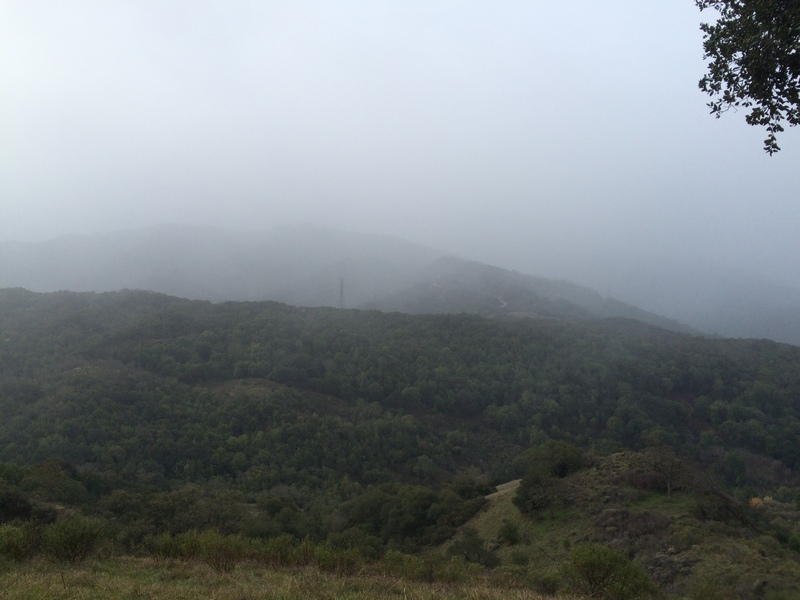 Our usual spot for a view across to Mount Umunhum was somewhat obscured by the rainy weather! Actually a good day for a hike! There was intermittent drizzle, but not fully raining.